Picture this: Two people pick up a ball of yarn and a pair of knitting needles. One has been knitting her entire life; the other has never done it before. Who do you think will make the better sweater? Some things in life require experience. And when it comes to your windows, this mantra has never been more important. A DIY window cleaning endeavor is an undertaking. Depending upon the size of your home, it’s a job that can take the whole day. So imagine the disappointment that many homeowners experience when they step back after an entire weekend of toil to admire their handiwork, only to discover that their panes look as bad – if not worse – than they did before starting the project. Successful windowing washing requires skills, expertise, and tools. 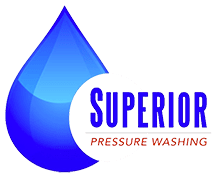 The team at Superior Pressure Washing has been in the business for nearly a decade, and we have the training, the cleansers, and the equipment to get exceptional results the first time around. Window cleaning isn’t as simple as rubbing some Windex over a pane. It requires a meticulous touch and extreme attention to detail. It demands a knowledge of the process… And only then will the results shine through. Life can often feel like a moving train. Treat your home to a face-lift and save yourself a weekend of work by calling the team at Superior PW today. Our Rockville MD window cleaning services have been fostering curb appeal in homes throughout the region. Let us make you one of our success stories!